We are very excited to announce our new private graphs feature. You can now collaborate on private graphs with any of our paid plans. 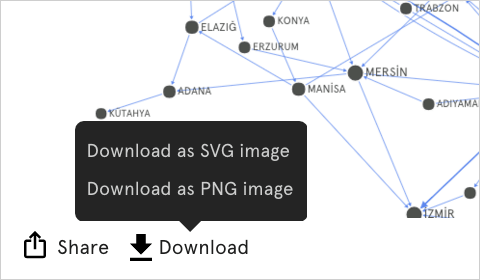 Graph Commons is always free to use for public projects. We think this will allow us to build a sustainable platform while supporting the public domain. In the past month, we’ve launched exciting new features that will improve your mapping experience at Graph Commons and help you better make sense of complex networks. Force Atlas 2 algorithm is so far the most useful algorithm for organizing complex network layouts. 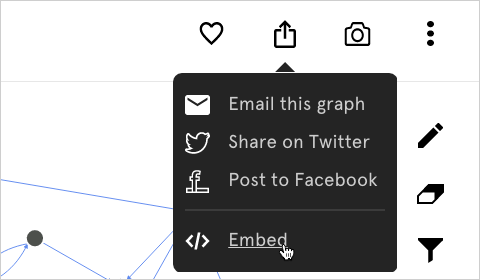 You can now use it on Graph Commons –from the Layout Settings– for your large graphs and have more clear and readable network layouts. – Show only the most connected actors from 1990 to 2015. We completely revamped the graph saving process. 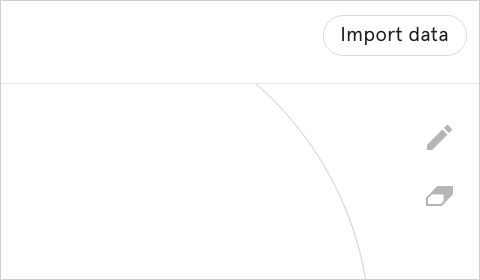 You can now import a large spreadsheet in seconds. And, with the new merge panel review what you’re about to import and decide if you want to merge incoming data with the already existing data types you may have. Embed interactive graphs in your blogs and websites with custom size. An embedded graph is displayed as is like on Graph Commons, except the editing features. You can also enable fullscreen embedded graphs on your own website. Capture a section or entirety of your graph and download it as hi-res printable SVG file or share as PNG image on the email and social media. Your selections are always deeplinked to its location within the graph. 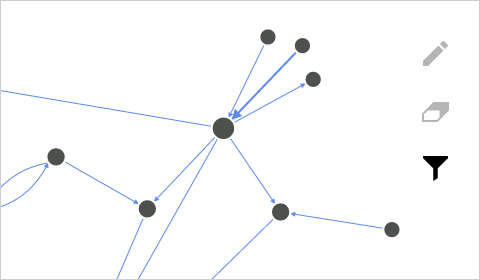 So when someone clicks on your shared link, they directly go to the nodes that you highlighted within the graph. We hope that you will spend some time browsing current graphs and creating new ones. Feel free to share anything you create or find. We welcome feedback on your experience. Let us know if you have any questions or comments at contact@graphcommons.com, we’d love to hear from you. * Cover photograph from 7th Berlin Biennial Graph Commons Workshop, 2012.